I’ve been attending New York Fashion Week for five seasons now and this is the first time I’ve done fashion week completely on my own. Back when I was working at NYLON and Interview, I was able to attend fashion week on behalf of those publications. The invitations I received in my inbox were not only plentiful, but were also often first or second row seats. Let’s face it—working at those publications gave me cachet. Even if you’re an editor at a magazine and you ignored every other email you got from a PR company throughout the year, they would still reach out and offer you a prime seat to witness the new collections for the first time on the runways. As we know now, of course, in this media apocalypse we’re currently living in, brands and PR companies are still interested in showing collections to editors, but they’re also interested in showing them to freelancers, bloggers, and dare I say, influencers. I will never forget reading an article in The New York Times by Eric Wilson in 2009 titled “Bloggers Crash Fashion’s Front Row” featuring a photo of Anna Wintour, the editor-in-chief of Vogue, sandwiched between BryanBoy and Tommy Ton, both bloggers who had their laptops in front of them as models strutted past them on the runway. Fast forward almost ten years later, and bloggers no longer “crash” the front row at all. In fact, often they are more desirable candidates for the best seats than some industry veterans simply because of their audience and their reach. Fashion week definitely still has its structural problems, but seeing new collections is still the most exciting thing about it. This is why this year, the thought of attending fashion week at all felt scary to me. I’m a freelance writer who is no longer associated with one specific magazine and I wasn’t necessarily big enough as a blogger to warrant any quote-on-quote “good seats” on my own. The whole thing made me extremely nervous. This year I had to pitch myself to PR companies to attend shows I wanted to go to and rely on my name alone and any relationships I may have formed with people along the way. What if I didn’t get into any shows? What if no one remembered who I was? What if not only did I not get a good seat...but I didn’t get a seat at all and received a ticket with the word “standing” on it??? The horror. Well this year I was able to get into most of the presentations I wanted to attend—for some that meant standing room but I was even able to score a few front row seats all by myself, which I’m super proud of. 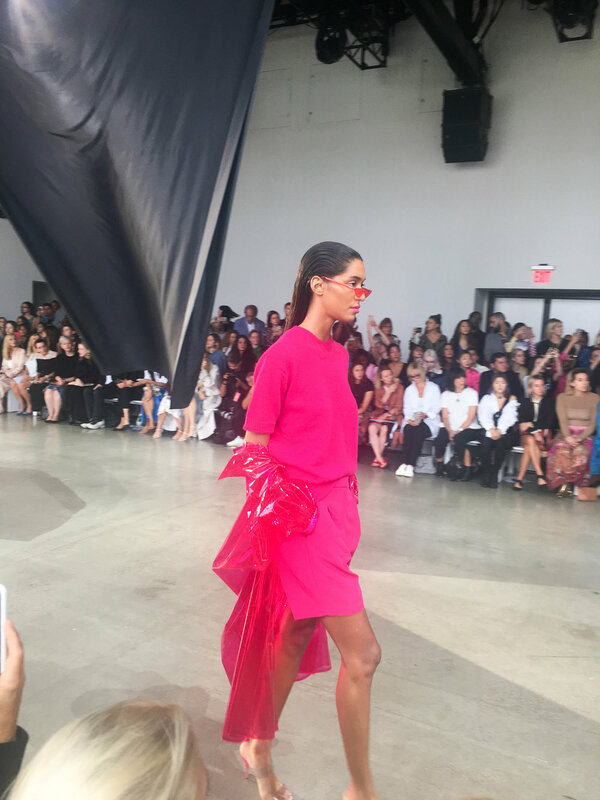 Here are some of my best tips for how to get invited to fashion week shows, stay in the good graces of PR people (they RUN fashion week whether you like it or not!!) and how to get photographed by street style photographers. As I mentioned in the intro, if you work at a magazine and never reply to any emails that PR companies send you until two weeks before NYFW they’ll still invite you. If you try to pull that as a freelancer, you will be much less successful with scoring invites. When a PR agency invites you to a preview in April, go. When they invite you to an event for a new brand they signed on, go. And better yet, cover it on your Instagram or website! Ask them to meet for breakfast so you can hear about what they’ve got going on. Show evidence of caring about their clients and giving them coverage is the freelancer equivalent of working at a magazine. Your track record will speak for itself. When you do eventually reach out to PR agencies to request invitations to fashion week (do this about 3-4 weeks before the shows so that you don’t get lost in last minute requests) make sure you have a plan of how you will help out the agency in some way. Are you going to pitch coverage of their client to an online magazine? Cover them on your blog that has X many pageviews? Live stream the show on your Instagram stories to a massive audience? Offer them exposure and coverage instead of demanding a front row seat without explaining why you deserve one. The CFDA always creates a fashion week calendar with all of the biggest shows on it. It will tell you if it’s a runway show or a presentation. Typically presentations are easier to get into than runway shows because they typically allow people to pop in and out over the course a few hours, whereas runways shows last about 15 minutes and have limited seating and standing room. If you can’t get into any shows on the official fashion week calendar (I have a feeling Marc Jacobs is still a few years off for me), don’t forget to look on Fashion GPS! The app allows you to request invites to shows, networking events, and parties that might not be listed on the official calendar. Keep these emails short and sweet, because they get thousands of them and the faster you can get to the point, the better. I always try to find a direct contact if possible but if not many agencies will have a press@tkagency.com type of email that you can send requests to. I introduce myself as a freelance writer, list some of the publications I contribute to (if that’s just your blog for you make sure you link it), tell them which shows I want to attend, and also always offer to cover them on my Instagram stories. And that’s pretty much it. 1. Research trends for the upcoming season and try to incorporate them in some way into your outfit. I’m not saying to dress in head-to-toe leopard print if that’s not your thing, but editors at online publications often tell their street style photographers to be on the lookout for certain trends so that they can group them together in a slideshow. 2. Color is received so much better than black. I used to dress in pretty much all black ‘erythang and while I still do feel confident in black, color pops way more in photos. It’s as simple as that. Again, if wearing color and mixing patterns is not your thing, consider maybe a pair of red shoes or a statement blue bag so that you can add a bit of punch to your look without betraying your personal style. 3. Follow street style photographers on Instagram and engage with them! Once they start seeing you on the ‘gram they’ll be more likely to notice you IRL when you attend shows. I started following a few photographers last season and I’ve met a few of them at shows this year because they know we follow each other. Once again you can see that relationships are everything in fashion! 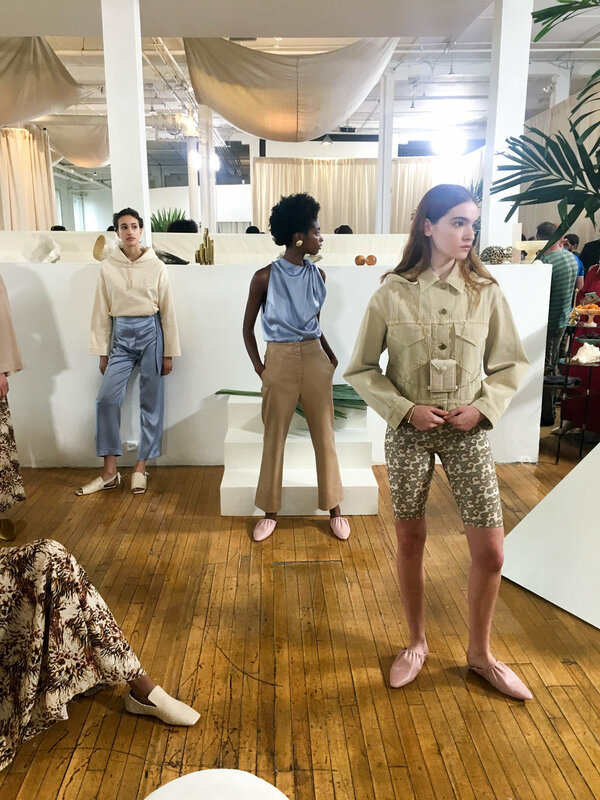 Once you’ve done fashion week for a few seasons you’ll have a sense of whether or not it’s going to be worth it to go to that party for that brand you’ve never heard of or a presentation that’s in an obscure part of Brooklyn on a Friday night when you’re going to want to catch up on your sleep. You learn as you go so it makes sense to go to everything the first time around! Bring business cards and network like there’s no tomorrow! You never know who is going to blow up on Instagram or get a brand new job doing press for a brand that you love, so get your name out there and start to make those connections. I promise, you won’t regret it. What are your best tips for getting invited to NYFW?